Reprint. Originally published: as The tree in the yard. London: Heinmann, 1944. ______________________NOW CELEBRATING ITS 75th ANNIVERSARYBetty Smith's debut novel is universally regarded as a modern classic. 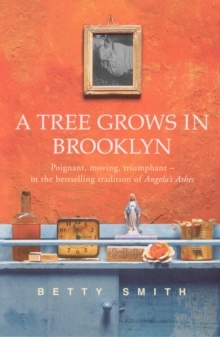 The sprawling tale of an immigrant family in early 20th-century Brooklyn, A Tree Grows in Brooklyn is one of the great distinctively American novels. The Nolan family are first-generation immigrants to the United States. Originating in Ireland and Austria, their life in the Williamsburg slums of Brooklyn is poor and deprived, but their sacrifices make it possible for their children to grow up in a land of boundless opportunity. Francie Nolan is the eldest daughter of the family. Alert, imaginative and resourceful, her journey through the first years of a century of profound change is difficult - and transformative. But amid the poverty and suffering among the poor of Brooklyn, there is hope, and the prospect of a brighter future.